Both the state and federal government have established laws against the unlawful production, possession, distribution, and use of illegal drugs and prescription medications. These laws are designed to deter individuals from using illegal drugs or abusing prescriptions medications, thereby reducing the number of drug-related crimes that occur in the U.S. An association has been found between trafficking illegal drugs and violent crimes due to things such as competition for drug markets, disputes involving illegal drug transactions, and violence towards those individuals participating in this criminal enterprise. Individuals that are charge with a drug crime or a drug-related crime should contact a drug crime attorney for assistance. Drug crimes can have serious ramifications on the life of the individual charged with this crime; therefore, it is imperative that a drug crime lawyer be contacted in cases such as these. Have you been charged with a Drug Crime? 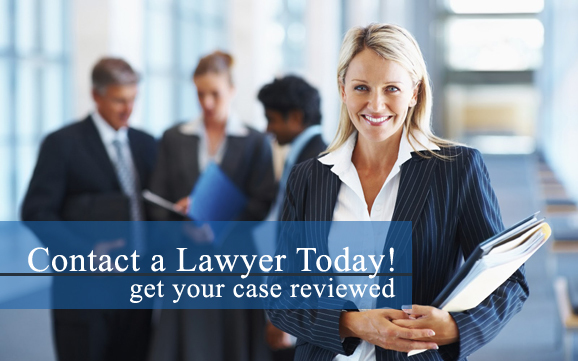 Contact a Drug Crime Defense Lawyer Today ! Get professional help, consult with a local experienced Drug Crime Defense Attorney to discuss your case. The sooner, the better. Drugs are placed into one of five categories (C-I - C-V) more commonly known as schedules. Drugs will be classified as a certain schedule based on the drug's potential for dependence and abuse as well as its medicinal or therapeutic value. Schedule five drugs are those that have a low risk of dependency or abuse and have legitimate medicinal value. Schedule one drugs are those that have a greater risk of dependency and abuse and have little to no medicinal value. Schedule one drugs (C-I) include substances such as heroin, LSD, marijuana, and ecstasy. Schedule two (C-II) drugs include things such as morphine, cocaine, oxycodone, methylphenidate, PCP and methamphetamine. Schedules three through five (C-III – C-V) include drugs such as tranquilizers, sedatives, stimulants, anti-anxiety drugs, and non-narcotic analgesics like acetaminophen with coedine and diazepam. The most serious drug offenses are those that involve the production of illicit drugs, manufacturing drugs, or selling drugs. Mandatory minimum sentences often accompany drug crimes. Individuals charged with the possession of less than 5 kgs of cocaine may be subject to 5 to 40 years in prison, while an individual possessing more than 5 kgs of cocaine may be subject to 10 years to life in prison. Because drug crimes oftentimes carry harsh punishments, individuals charged with these types of crimes should seek the counsel of an experienced and skilled drug crime attorney. Drug crime attorneys employed by reputable drug crime law firms can provide individuals with the expert legal representation they need. These attorneys will review the case and determine if the individual's rights were violated at any point during the legal process. A drug crime lawyer will begin working to build a defense to either have the charges against the individual reduced or dismissed. Drug crime law firms are tasked with protecting the rights of individuals charged with drug crimes. Attorneys under the employ of drug crime law firms will work diligently to either negotiate or litigate a satisfactory outcome for their client. The penalties for these offenses will be based on the quantity of the drug involved, the schedule of the drug, and the purpose of its possession. For example, an individual possessing a drug for personal use may be punished less severely than an individual possessing a drug with the intent to distribute.